Video goes viral: Did KXIP co-owner Preity Zinta take a sly dig at Mumbai Indians? 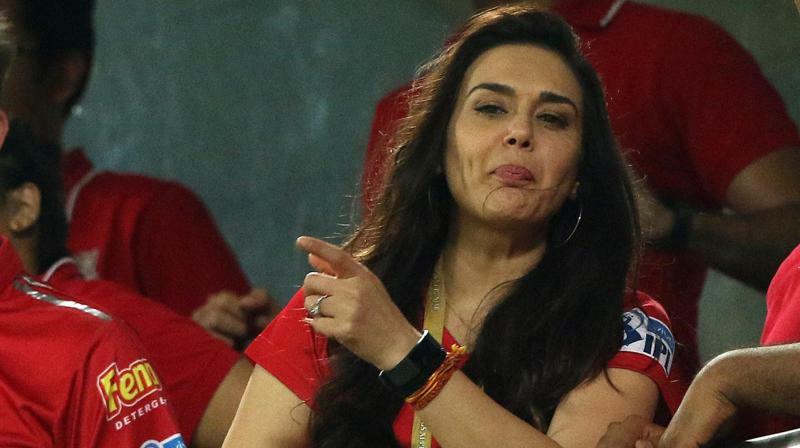 Deccan Chronicle – Pune: While her team Kings XI Punjab were knocked out of the contention to make it to the Indian Premier League (IPL) 2018 playoffs, their co-owner and Bollywood actress Preity Zinta has managed to grab the attention of cricket watchers for apparently taking a dig at Mumbai Indians (MI). Pune: While her team Kings XI Punjab were knocked out of the contention to make it to the Indian Premier League (IPL) 2018 playoffs, their co-owner and Bollywood actress Preity Zinta has managed to grab the attention of cricket watchers for apparently taking a dig at Mumbai Indians (MI). Before the final day of IPL 2018 league stage kicked off as many as three teams were in contention to reach playoffs – Rajasthan Royals, MI and KXIP. While RR, were on 14 points and had to depend on the outcomes of the MI versus Delhi Daredevils (DD) and Chennai Super Kings (CSK) games, MI and KXIP, by 53 or more runs, had to win their respective games to seal the only one available spot in the playoffs. However, a video, during the CSK vs KXIP game, went viral soon after MI’s loss against DD showing Zinta, saying, “I am just very happy that Mumbai is not going to the finals. There were reports of her having a spat with KXIP mentor and former Indian cricketer Virender Sehwag following her team’s defeat against Rajasthan Royals earlier this month.